“You can’t easily sniff or swirl wine in a can. It forces you to just drink it and enjoy it without over thinking the activity,” says Ryan Harms, Union Wine Company Owner and Winemaker. He might be onto something. Wine has a bit of a pretentious rep, but thanks to the advent and growing popularity of canned versions, wine might become just as much a staple in summer coolers as light beer. The benefits are many fold: cans are better at keeping out wine-ruining light and oxygen than corks and screw caps, you can chug 'em directly, aluminum is easier to recycle than glass, and the ABV hovers around 12% (which is about 8% more than light beer) -- you do the math. Think of your favorite childhood juice box, but with a lot more booze. 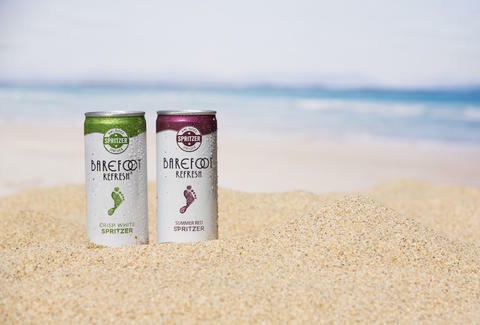 Barefoot Wine’s new sugary spritzers are perfect for day drinking thanks to the lower alcohol content and their sweetness. Try it over ice to dilute the saccharine flavor. 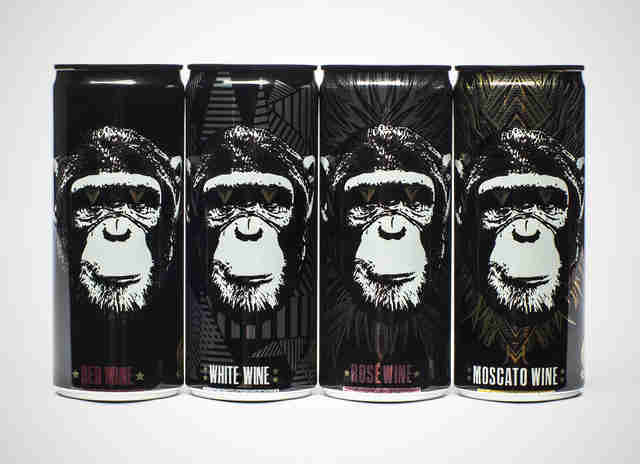 For those more tempted to reach for a bottle of Mike’s Hard Lemonade than a bottle of Malbec, this canned wine is for you. Feel free to spike as necessary to amp up the alcohol. 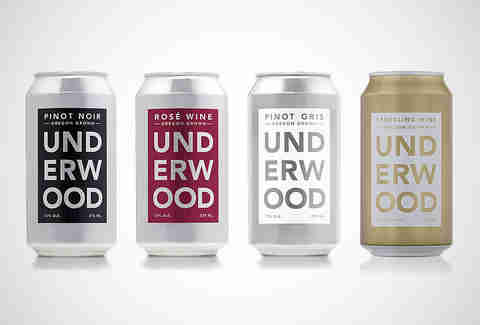 Every can of Underwood -- including the rose and the newly launched sparkling -- comes with tasting notes and fun wine facts that will maybe, definitely impress your friends. The Pinot Gris, which has peach, grapefruit, and pear notes, is hugely refreshing on a hot summer day. Underwood is all about “easy drinking” said Harms, and this can is no exception. Forget any perceived social pressure about knowing the wine’s tasting notes and pairings and just enjoy glugging this smooth white wine wherever cans are welcome. This medium-bodied rosé, which is branded as “as light as a four day work week,” is a fresh blend of Chenin Blanc, Zinfandel, and Syrah canned on-site at the California Vineyard, which minimizes oxygen contact and better preserves the fruit-forward crispness of the wine. Pair with grilled seafood like salmon skewers or spicy shrimp tacos or pretty much anything at a BBQ. 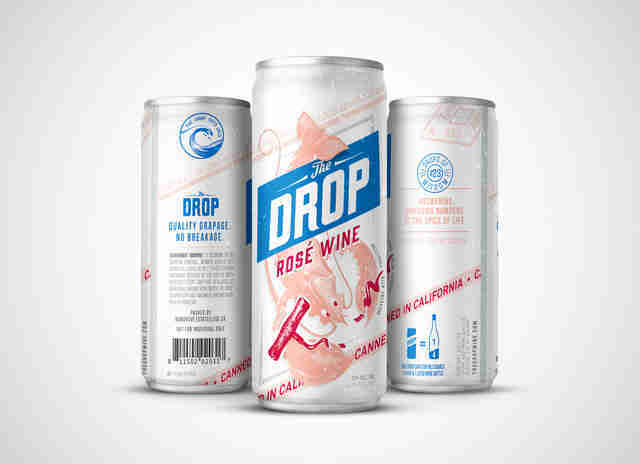 “Burgers and canned rosé belong together,” said Alexis Beechen, founder of The Drop. She also noted that cans are certainly a safer option than glass for rooftop drinking. Beechen explained that balancing the minerality of her wine with a drinker’s perception of what a can tastes like can be a challenge. “Rosé is supposed to taste minerally,” she said. The more you know! The only 100% New Zealand Sauvignon Blanc available in a can, this wine adds a certain level of class to all outdoor events, like barbecues, garden parties, and dog weddings. 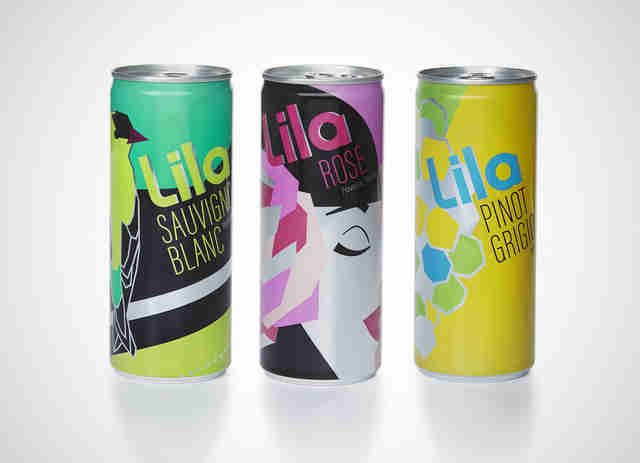 Lila’s 2015 Italian Pinot Grigio and Aix-En-Provence Rosé are currently sold-out online, but you can find them in wine stores in a bunch of states. 32 to be exact. One of the best aspects of a canned sparkling wine is how easily they can be mistaken for other, non-alcoholic cola beverages in public. 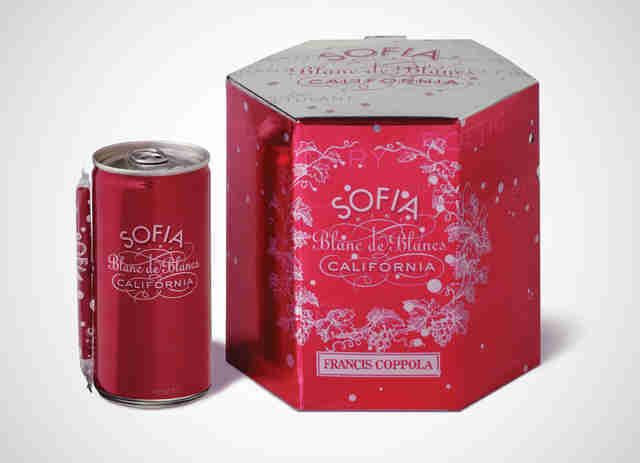 Such is the case with this ruby-colored can from Francis Ford Coppola’s California winery that even comes with its own bendy straw attached. Talk about convenience. The tart, lingering crispness make this California white wine tallboy -- they're not just for beer! -- perfect for summer sipping. Pro tip: Use a koozie to keep this oversized can cold. This Chardonnay is much more acidic and refreshing than your typical buttery, sweet varieties, and pairs beautifully with Thai takeout, hot dogs and stadium nachos. The wine’s aromatics plus jalapenos are a winning combo. Mancan Fizz is the ideal alternative to any soda or seltzer on a hot day. Graham Vesey, known as the Head Wine Guy at Mancan, recommends pairing Fizz “with anything off the grill.” Pack 'em in your bag for impromptu celebrations deserving of some bubbly, or just lunch time. 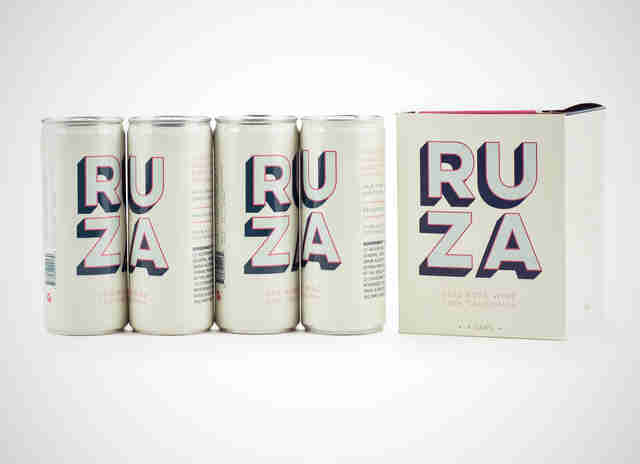 Ruza’s dry California rosé finishes with just a slight tingle on your tongue. Packaged in a slim can for easy chugging, the can’s instructions to “chill, pop, repeat” are kind of impossible not to follow. Raspberry, cherry and strawberry notes make this rosé a perfect poolside refreshment. 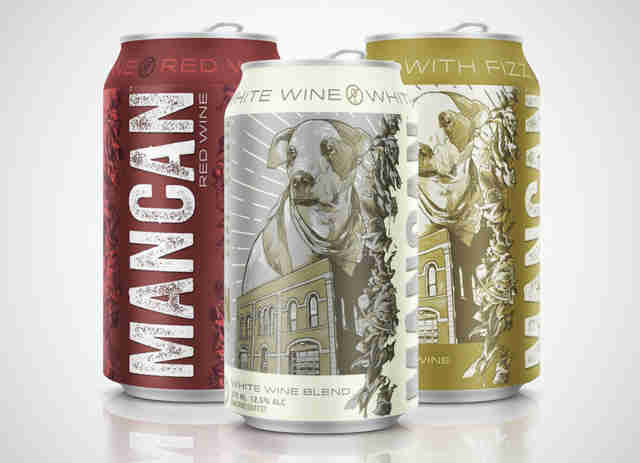 This urban winery based in Denver cans four varieties of wine. The white wine is slightly carbonated, and has notes of peach and citrus, but if you’re looking for more bubbles, grab a can of IFT’s Moscato, which is just sugary enough to substitute for soda and still almost twice as alcoholic as beer. Melissa Kravitz is a writer based in New York City who plans to spend the entire summer with a can of wine in hand. Follow her at @melissabethk.